I have a couple of Spiderman lovers in my house. My second son has loved Spiderman for a long time. In fact, we jokingly call him Spiderman because he loves to run around and climb on everything. He wears his Spiderman costume most days. It was especially cute on Halloween to see my little two-year-old walking around the neighborhood all decked out as Spiderman. 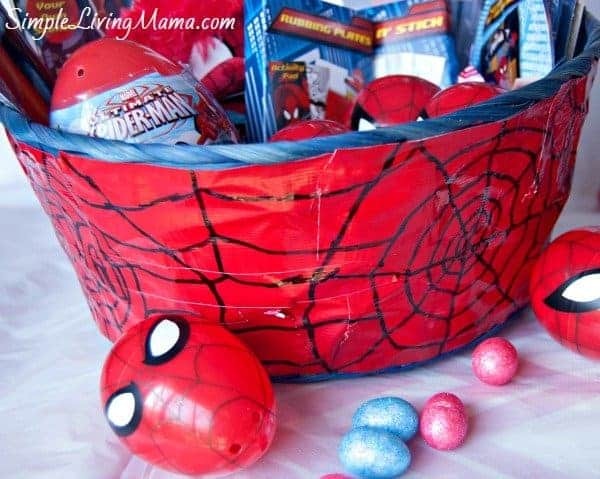 Because my son LOVES Spiderman, I decided to create a Spiderman Easter basket just for him! Easter has always been one of my favorite holidays. I love creating themed Easter baskets for my children. I do not go overboard on Easter, but I do enjoy getting a few little things that I know my kids will love. The night before Easter we love to read “Here Comes Peter Cottontail” together and leave our Easter baskets out for the bunny. 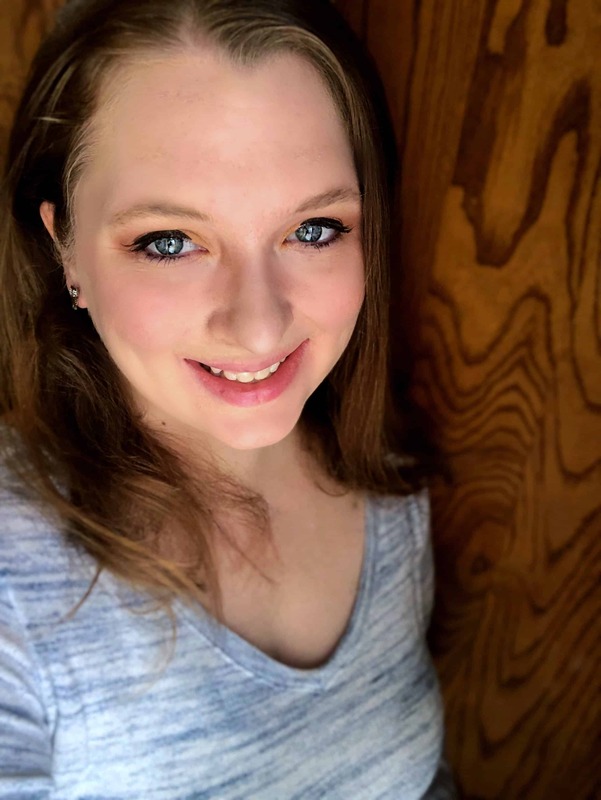 I know I will miss the magic of the holidays when my kids are too old to believe. It’s so awesome to see their faces light up in the morning when they see that their baskets are filled. 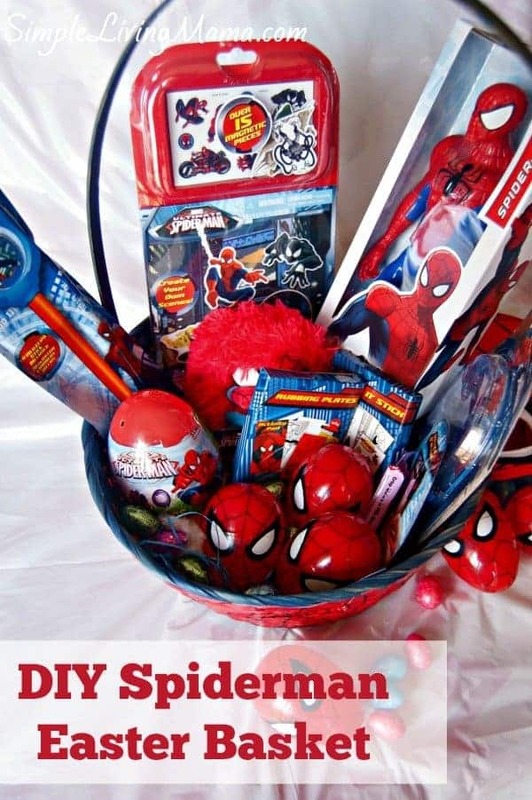 I’m so excited about this Spiderman themed Easter basket for my son this year! 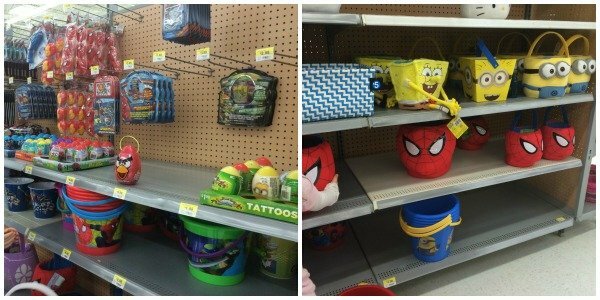 The first thing I did was go to Walmart to find all of my Spiderman Easter basket stuffers. 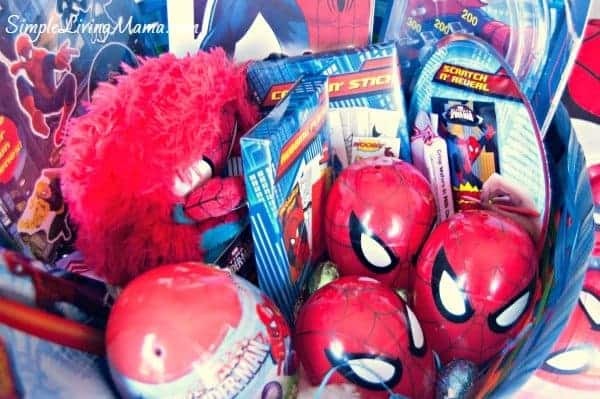 There’s a huge selection of Disney and Marvel items for Easter baskets! 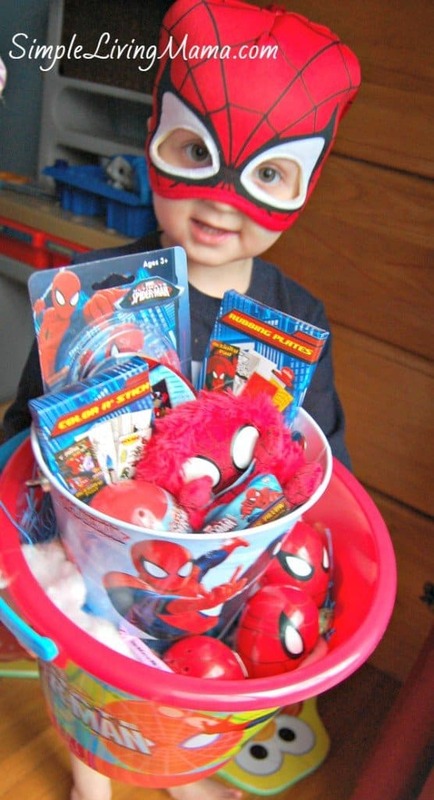 Once I had my goodies, I got to work creating a DIY Spiderman Easter basket. 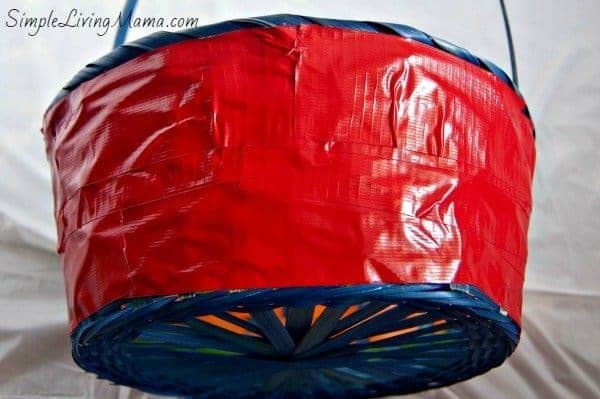 I started with a regular, old basket and red duck tape. 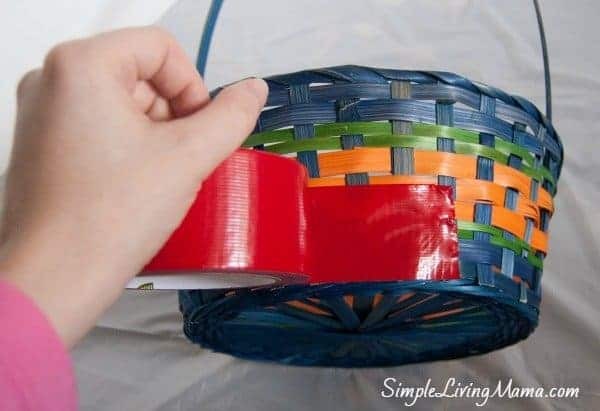 I cut pieces of tape and just continued to place them around the basket until it was covered to my liking. 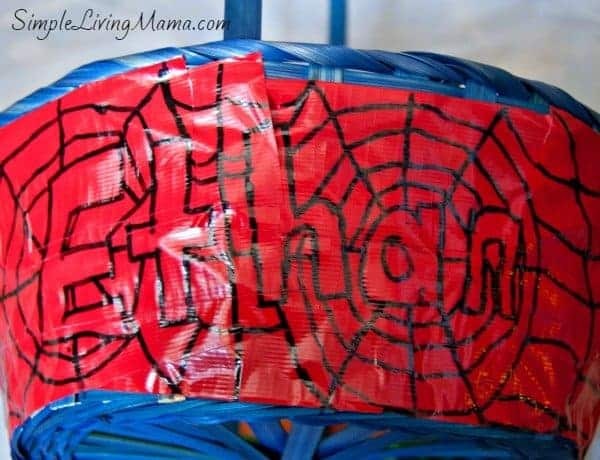 Then I used a black permanent marker to freehand spiderwebs and my son’s name on the basket. It doesn’t have to be perfect. I drew his name to look like it was caught in the web. Then I started stuffing the basket. Aren’t these Spiderman eggs cool? 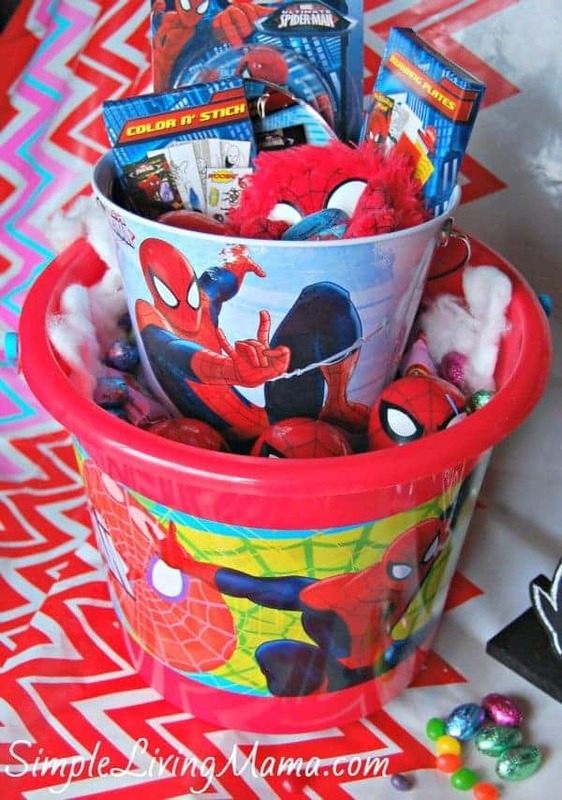 If you don’t want to DIY your Easter basket, you can pick up some of these cool Spiderman buckets. I did a double basket with these buckets. I have a very happy little Spiderman in my house! Now you’ve seen what kind of Easter basket I created for my little guy. What kind of Easter basket would you create for your kiddo?